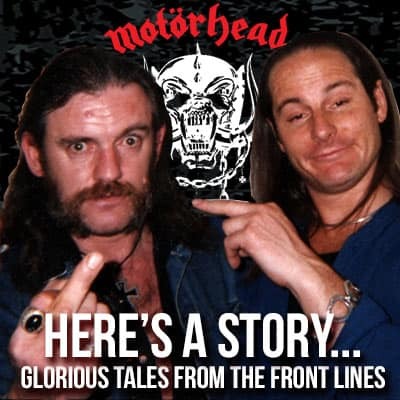 On December 7th, Motörhead Music (Silver Lining Music) will release two bumper Motörhead box-sets begging to be bought as Xmas gifts for the metal maniac in your wörld. The first is Böx Of Magic, a special vinyl set featuring The Wörld Is Yours white vinyl, Clean Your Clock with special pop-up art sleeve, a silver picture disc of Bad Magic and Aftershock, all in a deluxe package which will include a 64x64cm WarPig poster. The second is the live recording-driven End Of The Wörld, featuring Clean Your Clock, Aftershock with a live performance from Download in 2013, AND The Wörld Is Ours Vol 1: Everywhere Further Than Everyplace Else plus Vol 2: Anyplace Crazy As Anywhere Else. End Of The Wörld comes in two formats. Version A is a German-only exclusive with a Bad Magic back patch, Motörhead keychain with bottle opener limited to 700 copies. 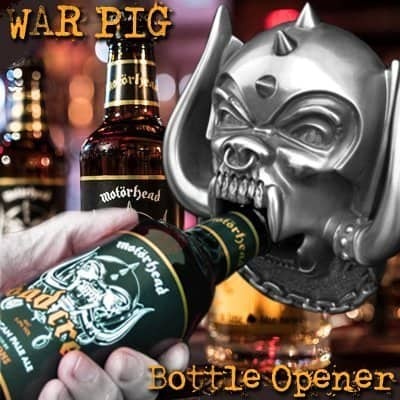 Version B is for the rest of the world, containing Motörhead keychain with bottle opener, limited to 1300 copies. Both versions feature Lemmy-doodles on the cover packaging. Click the relevant link to pre-order your collectible set today. Don’t wait until it’s too late, too late!!! We will update links and information as more details are figured out, check back!